Ran across this article and thought it would be downright wrong of us here at Sasquatch Punches not to link to it. Speaking of terrible sasquatches, we have been awful about updating this blog, and completely ignored everything we said in our last post, way back in October (though we have been okay about the twitter account). Why? Primarily, we have been in the Sasquatch Cave working on a variety of interesting projects. Because they are not quite ready for show just yet we have to keep everything under wraps, but the development process continues and is leading to some exciting stuff. We are very excited to show everyone what we have been working on. All in good time, my friends, all in good time. We will work on getting better about updating the blog in the meantime, as well as giving it more of a coherent voice. 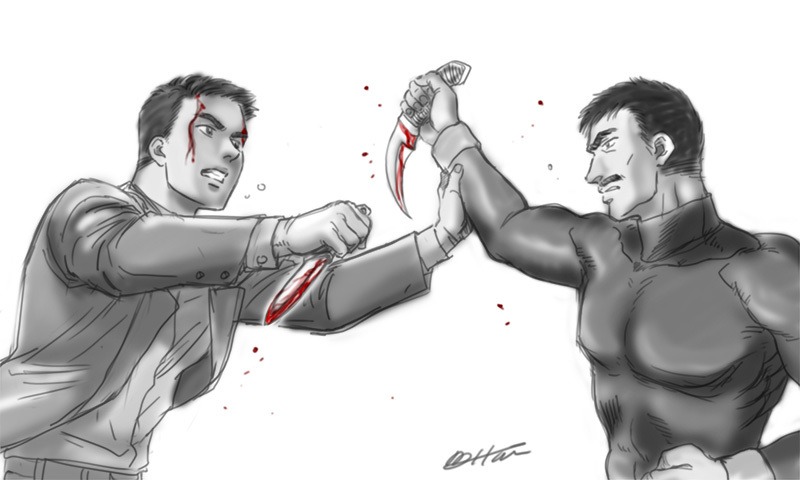 Expect more genre and transmedia goodness to follow. 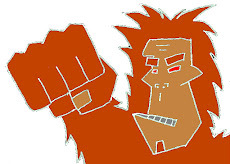 First of all, the Sasquatch Punches crew apologies to any possible readers out there for our severe absence since this summer. We have been busy building up the company and pushing further on development of five very different, but all very exciting, projects. Should any of them get off the ground, and hopefully all of them will, we are positive genre fans in general are going to be very happy. Which brings me to the topic of this blog post. 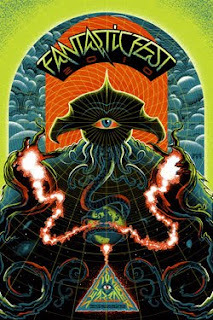 About two weeks ago I returned from my first visit to what will doubtless be countless trips to Austin, Texas for a little slice of genre heaven known as Fantastic Fest. I have been reading about Fantastic Fest for ages now, and have been dying to visit the hallowed ground of film geek celebration known as the Alamo Drafthouse, Tim League's temple of all things weird, interesting, and awesome in cinema. It did not disappoint. There is a lot to say about the Alamo Drafthouse, Austin, and Fantastic Fest in particular, including my first time shooting guns, learning how to throw knives, and best of all, a night hanging with the Rza, Bill Pullman, and Elijah Wood, all together. But these are big topics to chew on, so I'll limit my discussion, at least for now, to why the films and the culture of Fantastic Fest reaffirmed my love of genre film. Genre film in some ways reminds me of classic jazz standards, or the blues. Most genre films play with very familiar riffs, but for fans of great storytelling, it's the weird detours and ways in which styles and archetypes are tweaked that provide a sense of both the fun and the innovation in how these well-worn myths are rejuvenated and made anew. Though they can hold deceptively simple plots, and characterizations that on the surface look like they've been painted with a big, broad brush, a truly great genre film is like John Coltrane covering "My Favorite Things", or a dirty, bluesy Rolling Stones song from the late 60's or early 70's- you know the general notes and rhythm, but you've never heard it played like this before. And despite the surface recognition of a genre film's tropes, either because of budgetary constraints, rebel DIY ethos, desire to satisfy the often extreme tastes of the audience, or in most cases, all of the above, the best genre films take very real risks in how they present their stories. Now, there are plenty of art films which do this as an end in itself, but what I love about great genre filmmaking is that the storytellers helming these films genuinely want to entertain their audience, and just as importantly, give them a real EXPERIENCE. There is a go-for-broke sense of possibility contained within genre filmmaking. The fun action, or sci-fi, or samurai, or cops and robbers, or gory horror genre that a particular film plays in is merely the hook for genre filmmakers. Once they have their audience's expectations set, the best genre filmmakers will play on those expectations, delivering the goods in interesting, unique, or utterly satisfying ways which, if done correctly, will outright punch a viewer's pleasure centers, offering a kind of visceral catharsis that few other types of films can muster. So what does any of this have to do with transmedia? For starters, I think that great genre film offers a wonderful approach to storytelling possibilities that is particularly applicable to the strengths of transmedia. Taking sweeping, mythic templates for a story's basic structure, you cater to a built in audience, whether it is a large mass audience or a loyal, rabid niche audience. But, like a great genre film, transmedia stories play around with a story's possibilities, offering new ways to engage with a story and its world, experiment with its structure, and surprise an audience with the interesting detours and digressions it chooses to take. The similarities in the promise offered by both genre films and transmedia partially stem from the fact that there is a shared DNA between the two. Though genre film in some iteration has existed since the birth of cinema, the various "golden ages" of genre film were rooted in the immersive audience experiences created by showmen like William Castle in the 1950's, who had to find a way to compete with the relatively new medium of television. While playing say, a film about giant spiders attacking a small town, showmen like Castle would wire seats in the movie theater with shock buzzers and have fake spiders drop from the ceiling during key points of the movie. Often times these types of films were deemed too shocking, or more usually, cheaply made to warrant a proper theatrical release, so they would be tacked onto a double or triple feature at the local drive-in, contextualized within a very different viewing experience than that offered in a movie theater. At a drive-in, an audience could choose to be as active or passive in how they took in the story experience as they chose. Young couples, usually busy with other matters in their cars would tune in during the "good parts" of the action, sci-fi, or horror film they were seeing, honk their horns if they liked or hated something, and then get back to other matters at hand. Genre films of these eras were keenly attuned to the demands of the audience, and made it a point to meet those admittedly low expectations. The best genre filmmakers of the era, combined with those who knew the best way to present these stories, created experiences that genuinely engaged their audiences, and even told stories which made points about society, culture, and more with just as much intelligence and artistry as the more "respectable" critics' darlings of the times. Transmedia stories offer the chance to take this shared heritage and offer sophisticated, evolved versions of the earlier approaches to genre stories, not only across multiple media platforms, but also through ARGs, live events, and more. In these early days of this newly evolved (or repackaged, depending on who you ask) version of transmedia storytelling, there will be plenty of stories which end up forgotten, perhaps dug up decades from now for their kitschy value and fun, trashy, of-the-moment style. But the best of these stories will endure, genre trappings be damned, because their roots will lie in the mythic sweep of ancient stories and archetypes that still enthrall and have relevance today. And the promise they hold for genuinely immersive, engaged experiences will continue to spark the imaginations of those who consume these stories, as well as create them. All storytellers would do well to take a page from Tim League and Harry Knowles' Fantastic Fest, and the general Alamo Drafthouse culture. These are the new William Castles and P.T. Barnum's of the era. The stories they are showing come from all over the world, couched in the bloody, hilarious, frightening, and thought-provoking pop of great genre film, honoring a tradition that continues to generate bold new voices and engaging stories, both familiar, and entirely new. The genre fare offered at this year's Fantastic Fest was, aptly, fantastic. And their presentation certainly taught me a great deal about the importance of how these stories are taken in. So, with this monster of a blog post out of the way, I will return soon (much sooner than before) with reviews of specific films I saw, and more specific examples of what was seen and heard while at the fest. Henry Jenkins' 7 principles of transmedia storytelling are given an interesting interpretation in this blog post. It combines my favorite things- movies, politics, and the power of storytelling. It reminded me of this fantastically nerdy article from some time back which is still one of my favorite reads in the past few years. If you are a fan of the Godfather, foreign policy, or just left field pop culture pontification, I highly recommend you check it out. And speaking of the Godfather, Sasquatch Punches is on the verge of revealing details about our long in the works crime comedy project. We look forward to giving the world a behind-the-scenes look at our creative process, and allow everyone to follow us as we bring this exciting new endeavor to screens small, big, flat, square, rectangular, and iTouchy. Hitchcock was a cinematic innovator several times over. His use of the camera, color, sound, and suspense are still being unpacked and marveled at to this very day. Who knew that Dunder Mifflin's own Michael Scott was so indebted to Hitchcock's sense of humor as well? The guys over at Zen Films have posted up a very interesting flow chart for the development and implementation of a transmedia project. check it here. "The content currently described as “transmedia,” Herskovitz said, is just “using old media to leverage into new media,” thus expanding the platforms for exploitation. The panelists urged aspiring producers to develop their ability to collaborate and form productive creative relationships. “A good productive creative relationship with a writer, actor or director who you believe in and can sell and work with – that’s the secret of success,” said Van Petten." And here is another fantastic report about the conference from my good friend, producer Smriti Mundhra, writing for Filmmaker Magazine. Some great insights for all of us who are on the indie film side of things, or somewhere in that strange purgatory in between the studio and the indie world. My own thoughts on all of the above will be coming soon. Till then, on a note completely unrelated to the above topics, I cannot wait for the new solo album from Big Boi of Outkast fame. Every single released song so far has been ridiculously good. 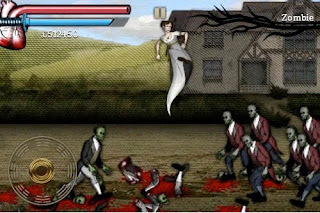 Pride and Prejudice and Zombies: The Game (for IPhone, IPad, and IPod Touch) was just released this week and I'm really quite blown away with how successful this property has become in just a span of 2 years. 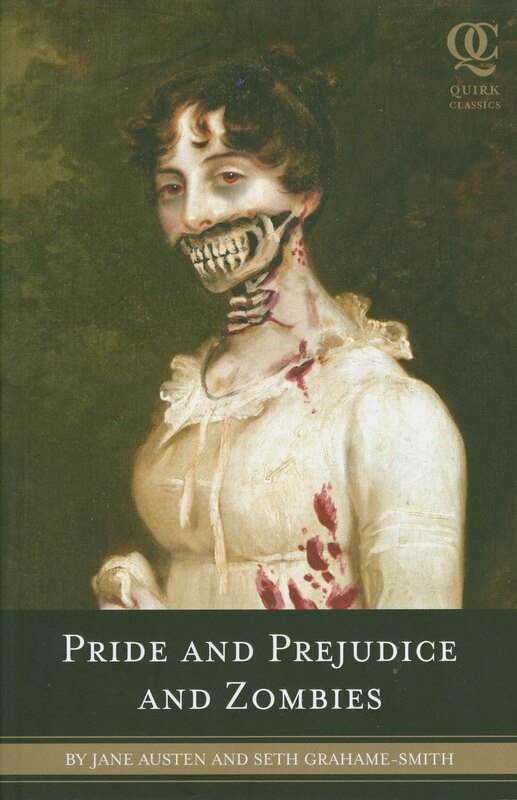 It all started in 2009 as a novel by Seth Graham-Smith when he mashed up Jane Austin's classic 1813 novel with elements of zombie fiction. 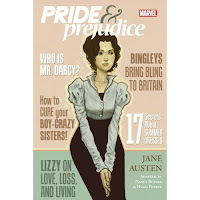 Totally ridiculous and at the same time amazingly brilliant, it quickly became a fan favorite with plenty of geek credibility and catapulted to #3 on the New York Time's best seller list. That same year in 2009, it was announced that a movie version would be made with Natalie Portman attached to produce and star. 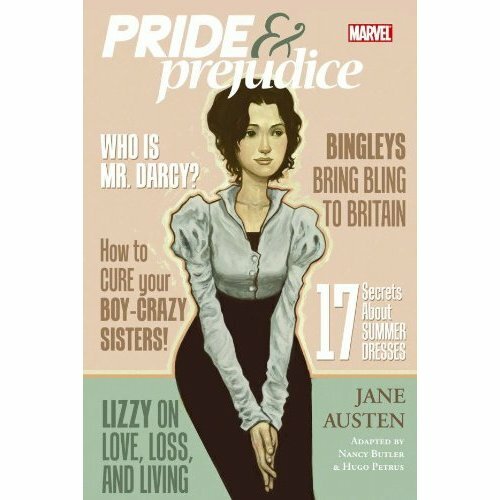 Then in May 2010, Pride and Prejudice and Zombie: The Graphic Novel was released and now in June 2010, the video game just hit ITunes for sale. I don't know if you would call this prototypical transmedia here with the the book, movie, and graphic novel essentially telling the same story but the video game release does seem to explore other aspects of the story world untold. Haven't played it yet but i'm going to check it out. Anyways, all transmedia crap aside, it is a pretty fantastic time we live in now when we can see something so weird and geeky just blow up with internet speed. As a story teller, this potential is very exciting and shows you can really push the limits, embrace the geekiness within, and find an audience. Story is king. I think the most important question with regard to transmedia is, if story is the nucleus of transmedia, then what can transmedia do that traditional storytelling through film, tv, books, or otherwise cannot do? Are there actually new and innovative ways to tell stories through multiple media platforms? I think the potential is certainly there. The next few years are going to be incredibly exciting for storytellers who engage with transmedia properties. And there is one storyteller in particular who has already broken boundaries in music, film and tv. I dont think I need to tell you who it is. But for the uninitiated, feast your eyes and ears on the first part of this mind blowing epic.